Shangai 1930, a chic Chinese. Continuing with Chinese food, if you need something more upscale Shangai 1930 is a good option. 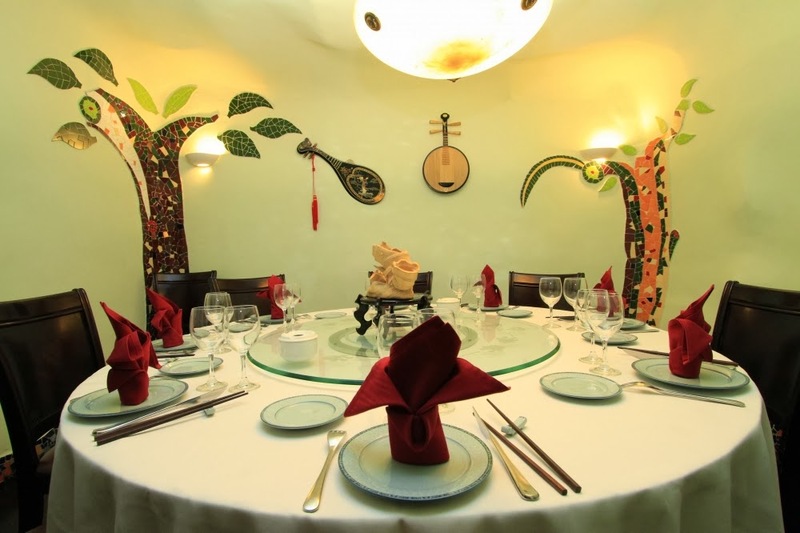 The Restaurant has nice deco, à la Gaudi, and serves authentic cantonese food and a mixture of asian dishes. Apart from the dining area down they also they have 4 private rooms . Last time we went was for some close friends anniversary, we had fun, the food was decent, their vegetarian options are quite extended but the service was not up to the standard. We had a set menu and the first and seconds got mixed up; it became a bit chaotic but at the end we had fun and that's what counts. This dish is vegetarian, some mock meat in a black pepper sauce.